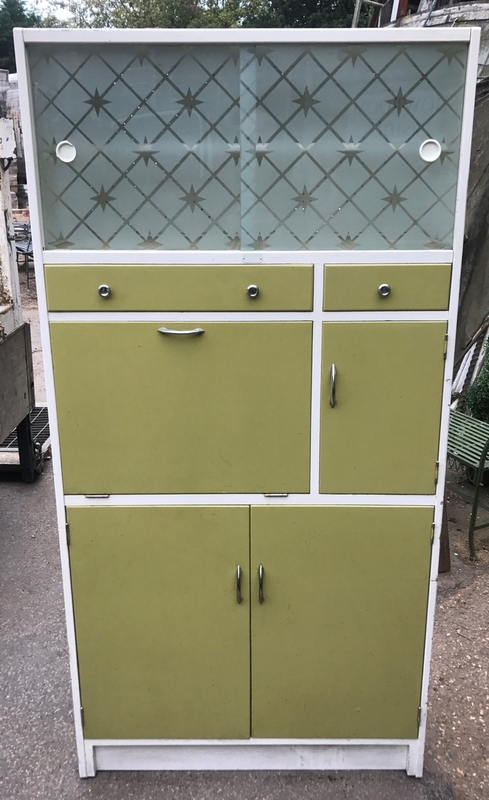 Dating from the 1950s, this useful larder cabinet has a green and white paint finish. It has upper sliding glass doors and 2 drawers, 4 cupboards. The cabinet is in sturdy vintage condition, though may benefit from being re-painted.